Curcumin Gold for the Holidays! The holidays can be a chaotic time; maybe especially for your digestive system, what with all the goodies we tend to indulge in. Whether you’re out at holiday parties or home enjoying traditional eats, not only do many of us over-eat during the holidays, but we get a lot of the kinds of foods that should be eaten in moderation. If this sounds familiar, you might want to know why PuraTHRIVE’s Curcumin Gold, scientifically, is something you want to have on hand to help your body recover. This is a supplement that can make it so that there’s less of a negative impact on your waistline, but also on your mind…. The curcumin that is in the Curcumin Gold is a very high dose, but also a highly deliverable form. 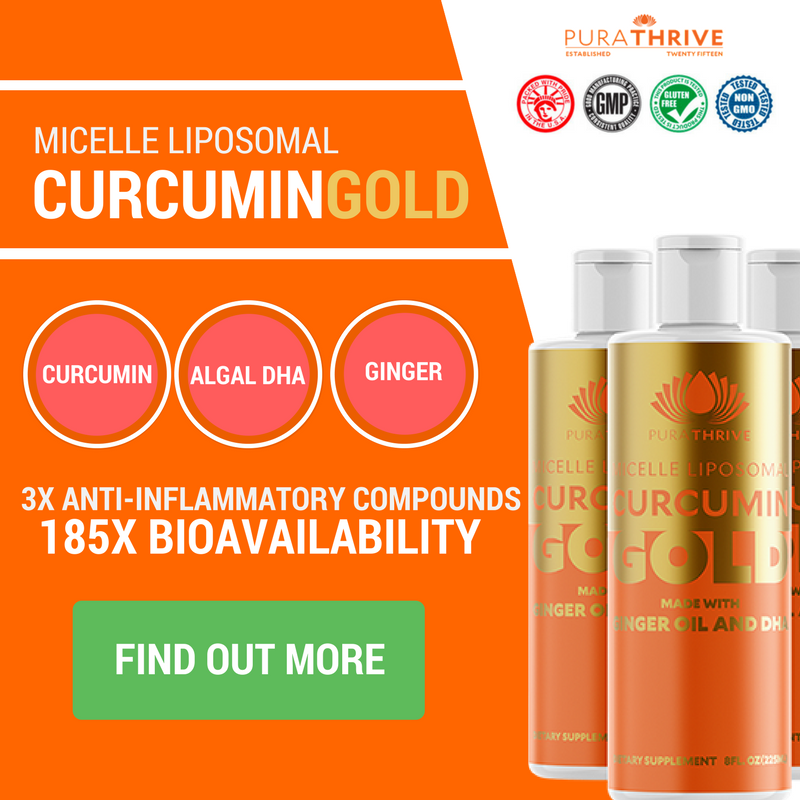 Unlike many other curcumin products on the market, Curcumin Gold is very bioavailable, given its Micelle Liposomal delivery. Curcumin is a very powerful aid to carbohydrate metabolism and reducing blood sugar. So, if you consume carbohydrates, the curcumin is going to make it so that there’s less of an impact on your body as far as blood sugar is concerned – a great reason to keep it on hand when you’re enjoying the sweet holiday offerings! Take care of that overworked digestive system! Lastly, the DHA from algal oil in this formula can help counteract the negative effects of all of the Omega 6’s you’re getting in a cheat meal (or meals). If you go to a holiday party, or party in general, you’re probably going to binge on grains. Things like chips, cookies, etc. These are all very high in Omega 6 fatty acids. Your body does need Omega 6, but only a very small amount, and preferably from healthier sources. Having so much at a time will throw off your omega balance and increase inflammation throughout your body. The DHA in Curcumin Gold will help restore your omega 3 levels; we always want to have our Omega 3’s and Omega 6’s balanced. We’re not exaggerating! This is a supplement that can help you prevent damage and protect your body during the holiday season, and always. It will aid digestion and inflammation, relieve pain and help you maintain your health – your greatest gift to yourself. Curcumin Gold is the ultimate holiday treat and the ideal supplement for you to consume when it comes to balancing out the effects of a cheat meal!